It's that time of year again....When the big yellow bear appears to remind us all to do what we can to dig a little deeper and help out those less fortunate than us...yes it's Children In Need week! I have supported Children In Need for many years now - throughout my childhood I would always get involved with various school fundraising efforts, and a few years ago I took part in an 8 hour sponsored line dance - yes 10 hours worth of Step's Classic "5,6,7,8" on repeat....hell on earth but all for a good cause! Last year I manned the phonelines taking pledges, and wow - I was absolutely blown away by the generosity of people - we had all kinds of callers, from businessmen donating thousands of pounds to children donating their 50 pence pocket money - every single call pretty much made me cry! This year I will be introducing Tyne to his first ever Children In Need - yes he's too little to understand just yet but nonetheless my sister bought him the Official Children In Need t shirt to wear on Friday, and we'll be watching and calling in with our donation. Of course times are hard but anything we can spare can go a way towards helping. 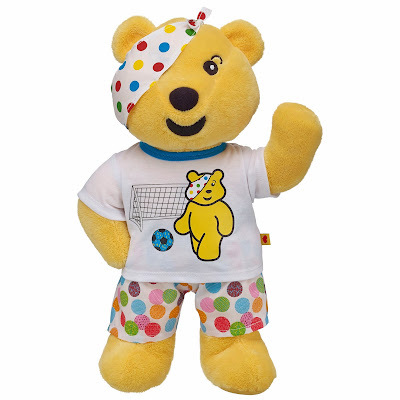 And if you do have a little cash to spare, and want to think about purchasing something that will bring a smile to your own childs face as well as the faces of the Children In Need - why not consider heading down to your nearest Build A Bear Workshop where the gorgeous Pudsey (pictured above) and Blush bears (below) are on sale for £15 each with £5 from every sale going directly to Children In Need. You can even purchase Children In Need outfits for the bears, with £1 from each sale going to Children In Need too! The Bears are available in stores nationwide now as well as online at www.buildabear.co.uk and are available to purchase ahead of BBC Children In Need night on Friday, 15th November. We can't watch Children in Need anymore as Stacey just sits and roars at the tele. It's really horrible to see. However, we will most definitely be donating a little something (I already bought her some limited edition, spotty Moshlings lol). 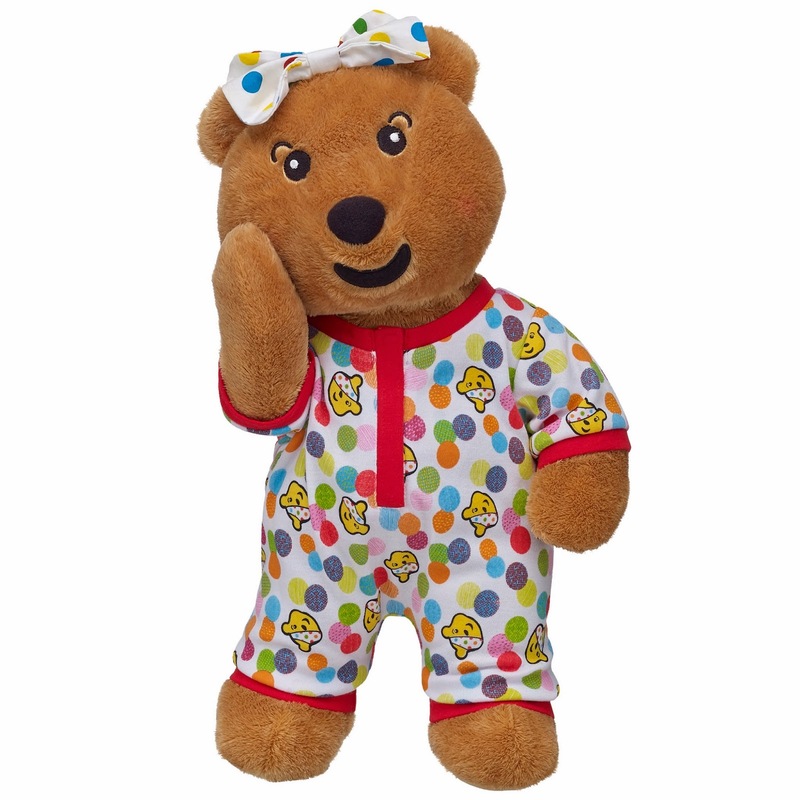 I am really tempted to pick them a Pudsey & Blush from Build a Bear as well!